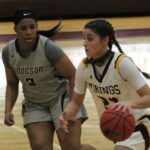 WILMINGTON – St. Elizabeth’s girls basketball team didn’t play its best game the evening of Feb. 9, but with 8.7 seconds to go, the Vikings found themselves with the ball and a 44-44 tie with Hodgson. It was pretty clear who would be getting the ball for the final shot. 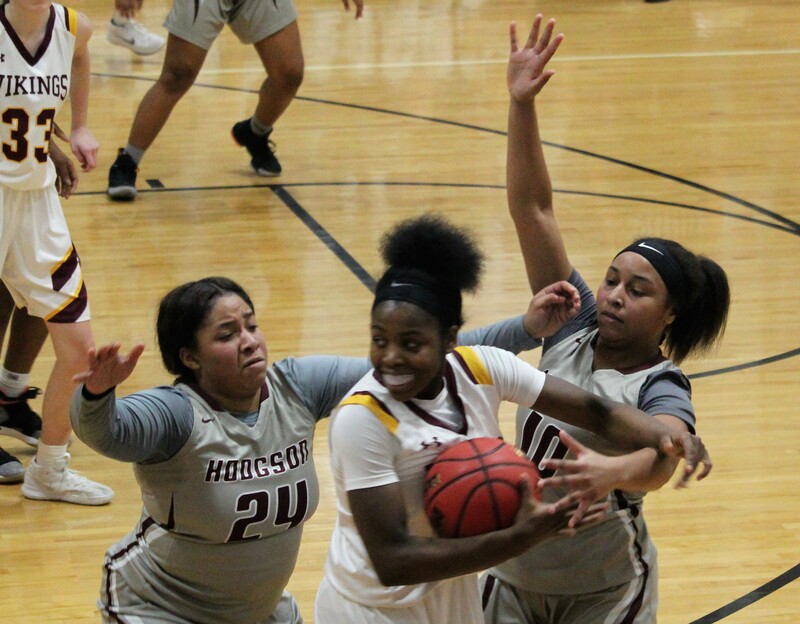 Julie McCarron inbounded the ball to Ber’Nyah Ward-Mayo, who dribbled toward the baseline in front of her team’s bench. 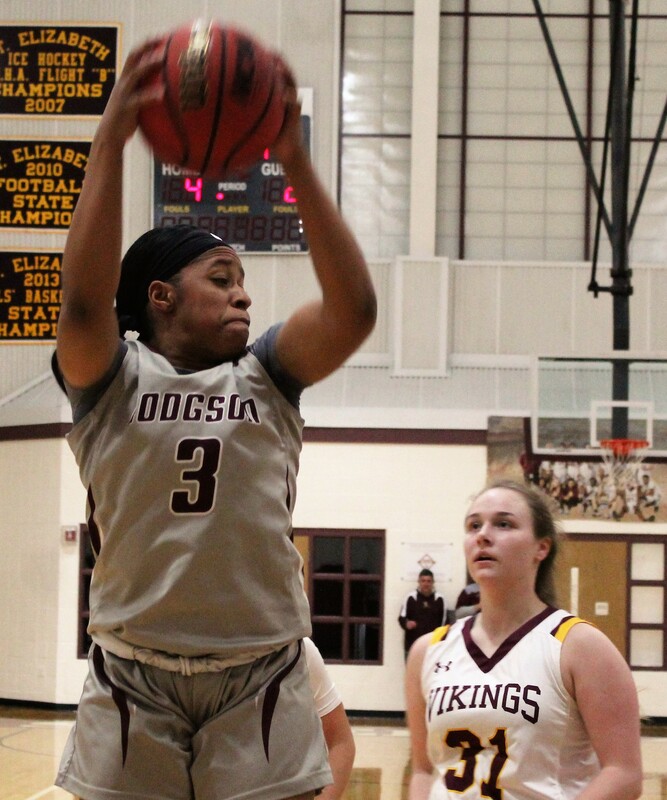 With no openings, she reversed course and took the ball around the three-point arc, sending a pass into the corner to teammate Naia Pulliam. With about 2 seconds left on the clock, Pulliam sent the ball back to Ward-Mayo, who was about eight feet behind the three-point line. That was no problem for the all-state candidate, who launched a shot just before the final buzzer sounded. A moment later, the ball found the hoop, and the Vikings celebrated a 47-44 win at center court. 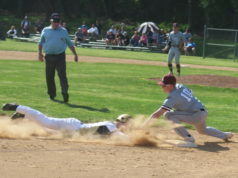 It was a thrilling ending for St. Elizabeth, who had struggled to score for good portions of the game. 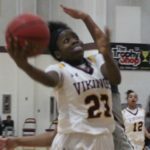 The Vikings, ranked third in the state by 302Sports.com, came in riding a 10-game winning streak, the last six of those against other ranked teams. 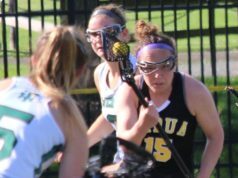 And Saturday’s opponent, Hodgson, is not ranked but is the Blue Hen Conference Flight A champion who entered the game with a record of 15-3. 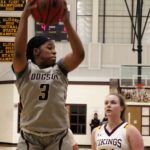 The Silver Eagles feature an all-state guard candidate of their own, Kayla Braxton-Young, and she tormented the Vikings all night. She started the scoring seconds into the game, taking the opening tip in for a layup. 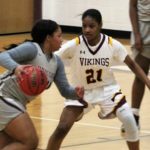 Braxton-Young scored eight points in the first despite constant pressure from the Vikings’ defense, and St. Elizabeth missed several short field goals. The Silver Eagles led, 13-8, after one. Braxton-Young continued her assault in the second quarter, stealing a ball at midcourt and turning defense into offense. 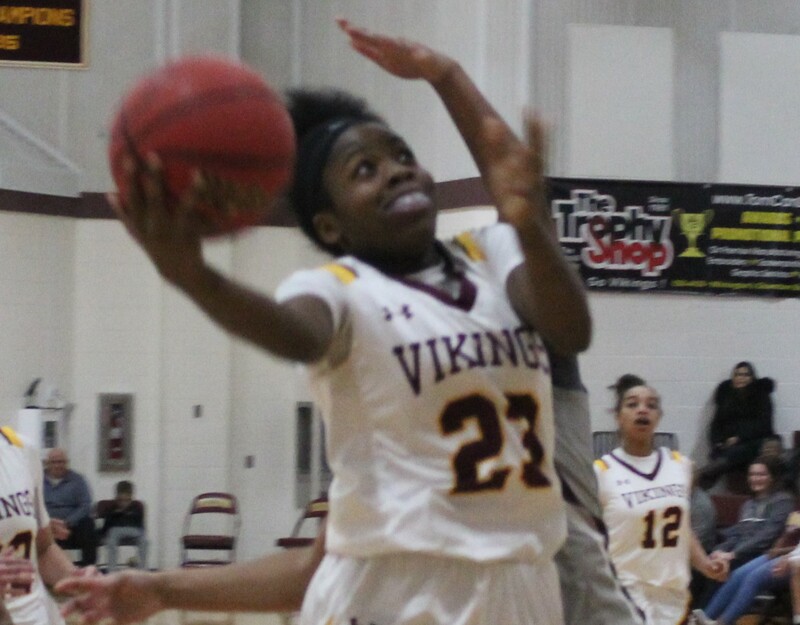 She sandwiched a pair of three-pointers around a Vikings bucket by Ashley Campbell to push the lead to eight, 21-13. St. Elizabeth cut Hodgson’s lead to four by halftime as Ward-Mayo drained a triple to make it 23-19. 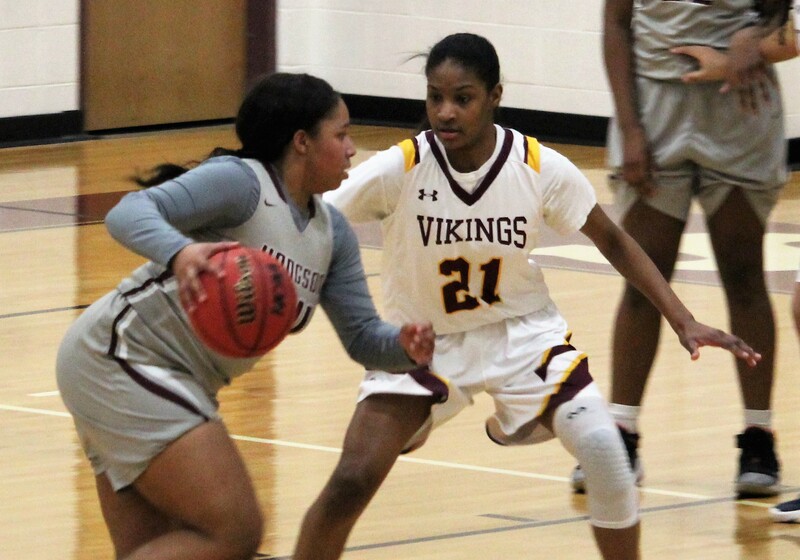 The Vikings kept Braxton-Young in check for much of the third quarter as they chipped away at the deficit. 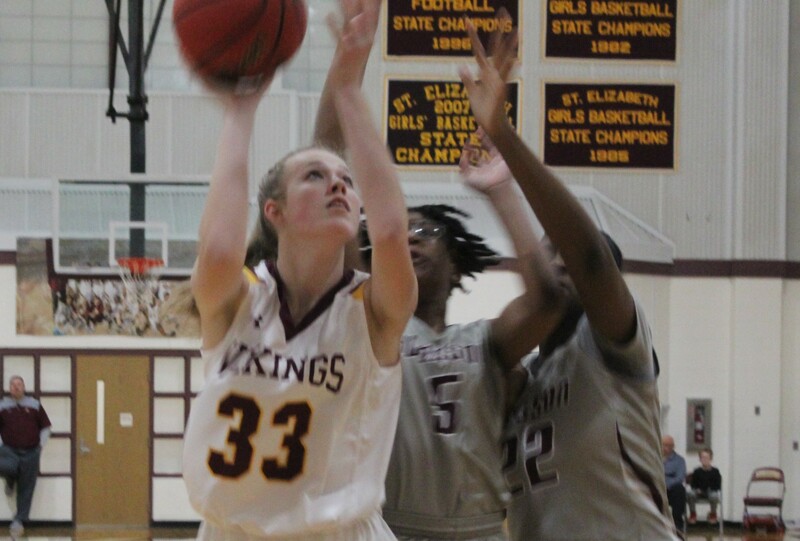 St. Elizabeth tied the score at 28 when Ward-Mayo made one of two free throws after a Hodgson technical foul, and Julie McCarron gave the hosts their first lead at 30-28 after stealing an inbounds pass and taking it half the length of the floor for a layup with 2:51 remaining in the third. Six Silver Eagles free throws, however, were enough for a 34-32 Hodgson lead going into the fourth. Alyssa Waters scored on a putback, and Braxton-Young drove the lane for another field goal, extending the Silver Eagles lead to six. Ward-Mayo scored the next five points, setting up the crazy final minutes. With the enthusiastic crowd enjoying every second, the Silver Eagles went back in front, 42-39, on a follow shot by Ericka Farrell, but the Vikings responded with five straight. Pulliam tied the score with a three-pointer, and Ward-Mayo scored on a runner with 1:21 to go. The Silver Eagles slowed the pace, and they finally tied it once more when Braxton-Young’s baseline floater found the net with 15.5 seconds on the clock. But the Vikings had one more chance, and they made the most of it. 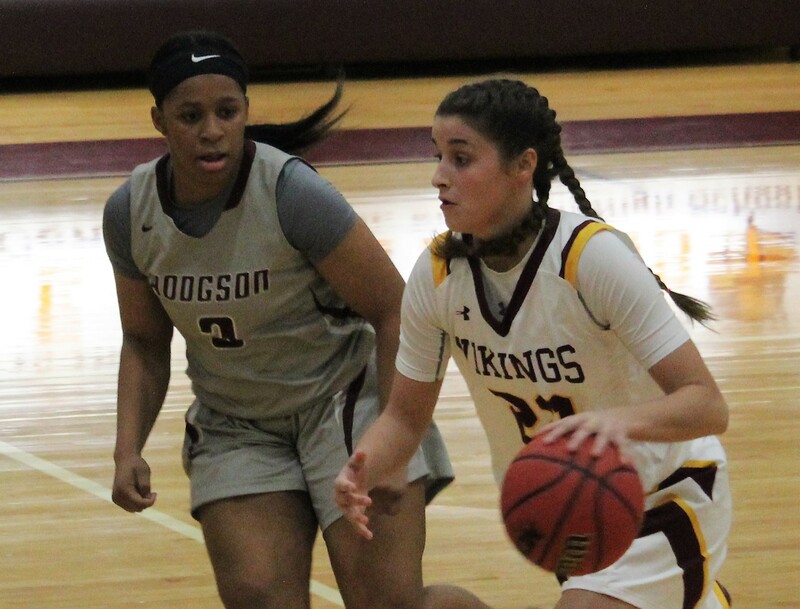 Ward-Mayo led the Vikings with 25 points, including four triples. Campbell had eight. 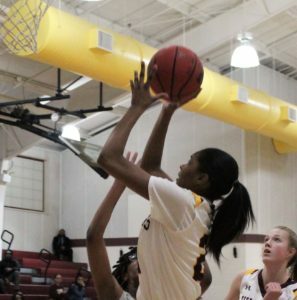 St. Elizabeth won its 11th straight and travels to Archmere on Tuesday to meet the Auks at 6:15 p.m.
Braxton-Young paced Hodgson with 29 points, while Treasure Baskerville added seven. 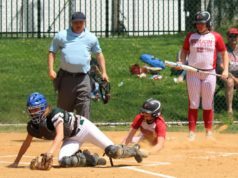 The Silver Eagles (15-4) conclude their regular season next Thursday at 5:30 p.m. at Polytech.